Do you want to get in touch with the experience of infinite living? Do you want to know how it’s like to live as an infinite being having a human experience and fully feeling this truth within you? If you are curious about what life may be like as limitless, free and abundant no matter your circumstance, then choose to detach from your limiting boundaries labeled ‘my life story’ and be open to what is possible for you. If you are wholly and completely committed to living your truth and freedom, then you must get in touch with what this feels like to you and how you uniquely express this to the world. You are a unique piece to the puzzle of life and you were born to share yourself. Living as your truth is a feeling; It is being who you really are with no constraints and doing what it is you love. The truth you were born to live is in your heart and naturally expresses itself through you when you surrender resisting the way things are or forcing things to be a certain way. When you allow life to show you the way, everything starts falling into place and you feel yourself as the infinite being that you really are. The key is to enjoy and appreciate what you already have around you. This podcast holds the key elements to living an infinite, awakened life. It is for all conscious entrepreneurs, small business owners & corporate refugees who are transitioning into a life that reflects your highest purpose & vision. If you are looking at being of service, adding massive value and experiencing a sovereign life created from integrity & authenticity, this is for you. Who are you connecting with in this Podcast? Jamie Gonzalez is an inspirational speaker, honest writer, and wholehearted mentor on living truth. 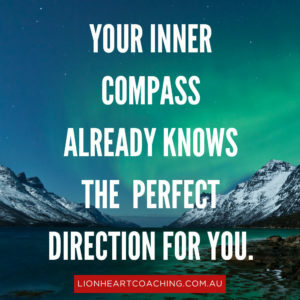 Having spent the past few years traveling between Australia and the US working with clients ranging from top corporate companies to your average every day person simply looking for a deeper connection with themselves. He supports people in getting themselves out of the way, letting go of fear and living limitlessly. What does Infinite Living actually mean? What is the difference between knowing the truth and living it? What does it take to live in an infinite, expanded, abundant way? Are there any rites of passage that people would need to be aware of? As well as how to deal with these situations? Why do so many people choose a safe, limited, predictable life when an infinite option lies just around the corner? Why connecting to one’s inner child, being playful and not taking life too seriously could be your biggest ticket to freedom? Option 1: Go to www.LionHeartcoaching.com.au/booking where we can have a free 30 minute alignment conversation to see whether you are ready to step into your greatness and create a clear, magnetic, soul aligned vision so you can get your life on purpose now and feel the ecstatic upliftment and joy that can only occur when you align to your soul mission. 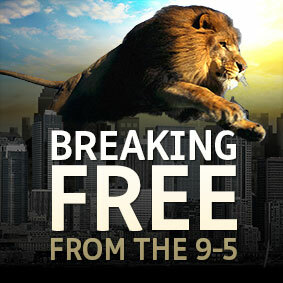 Option 2: Go to www.LionHeartcoaching.com.au to receive 5 Free Videos that will support you to move beyond feeling stuck, stressed out and confused about how to break free from your 9-5 comfort zone? Peal back the onion and see what it takes to go beyond what you believed to be possible. I’d love to learn from you in the comments below in what ways you are your moving towards experiencing Infinite Living. What insights, experiences and wisdom can you share in relationship to moving from knowing the truth to living the truth? I really enjoyed listening to you talk to Jamie, Nick. I loved that you asked Jamie to lead an exercise for us listeners to have a direct experience. the simplicity of the breathing meditation as a tool for separating from story, connecting to the present moment and coming into feeling/body/self-centred experience is one that never gets old for me, even as someone with years of meditation and mindfulness practice experience. Thanks for sharing this podcast.